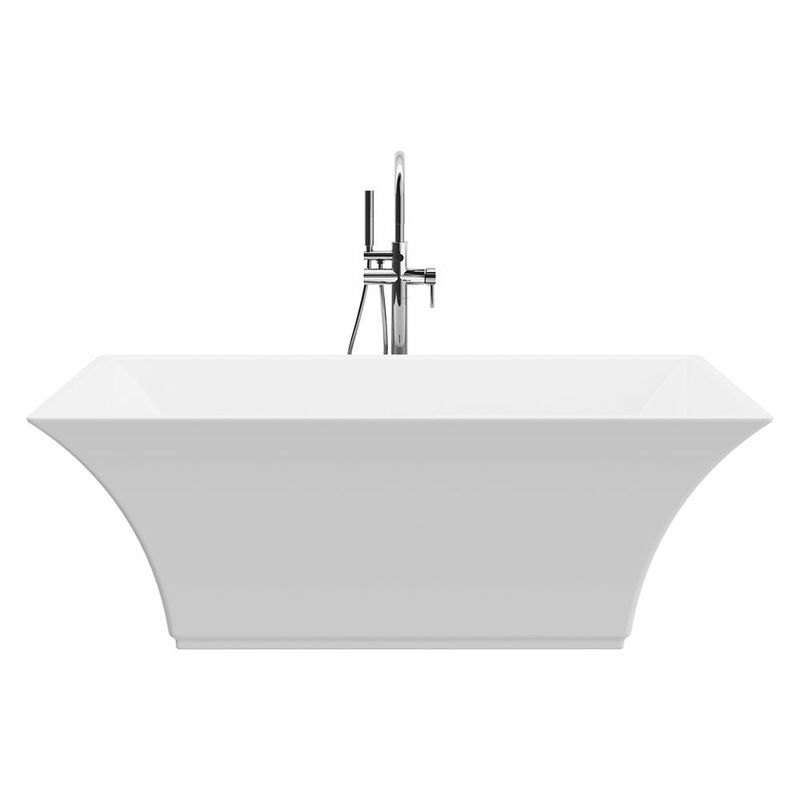 Marryat 67 inch Acrylic Freestanding Flatbottom Non-Whirlpool Bathtub in White All-in-One Kit The audacious curves of this bathtub command an appreciation of style. The freestanding faucet and handheld shower are separate from the bath, allowing for freedom of movement. Pure white acrylic construction and a seamless design lend this tub chic contemporary appeal. Overflow drain included and cUPC certified.